Following a superb dinner enjoyed by Bennie and myself at the flash, new Phi Phi 2 in St Albans, it’s a pleasure to return for lunch with the Urban Ma. 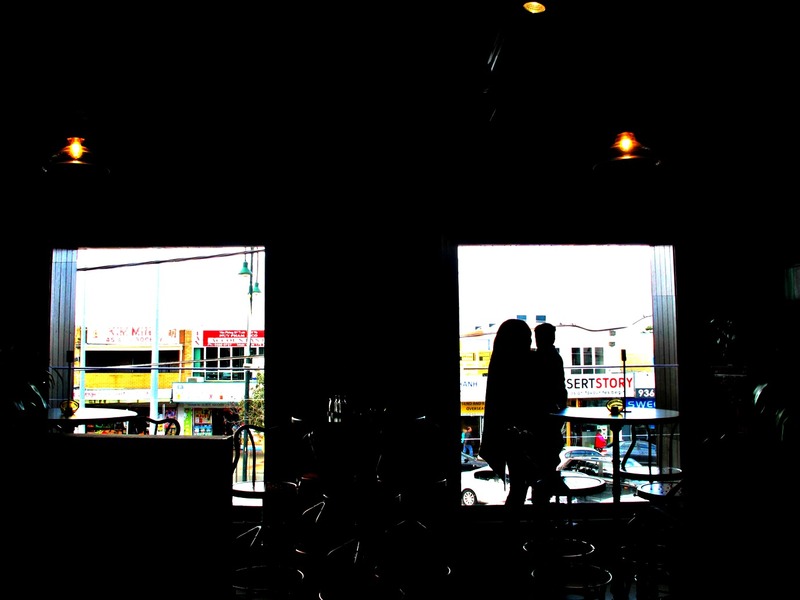 It’s almost like experiencing a different restaurant – a matter, well, of day and night. Mind you, the number of patrons is fewer – word that Phi Phi 2 is offering a welcome point of difference from the rest of the St Albans precinct may be taking a while to get around. But the staff are many and on the ball. The menu (see below) is succinct and like nothing I’ve ever before seen. Maybe – but if so, quite different from that being excellently purveyed by West of Kin in Braybrook. Some dishes are outright Asian in concept and execution; others have European/Western breeding imbued through with Asian flavours. 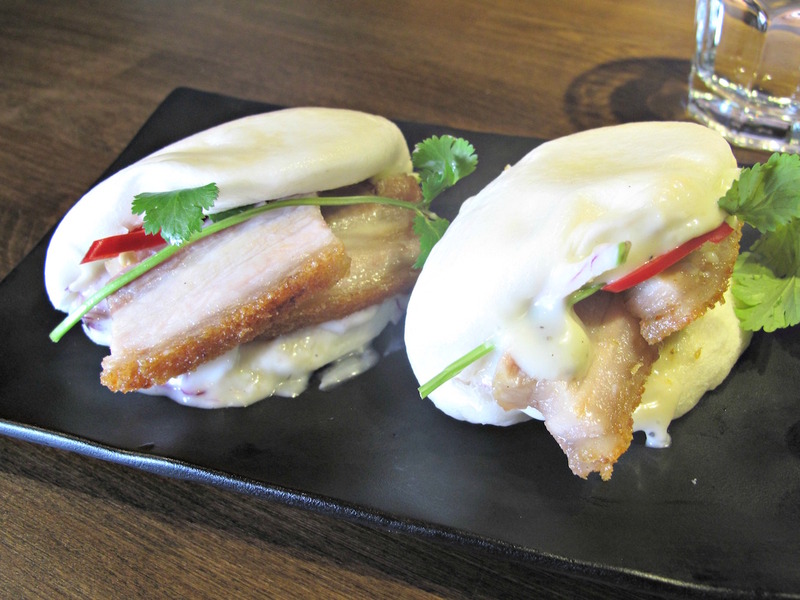 We start with a couple of serves of bao ($8 per serve). They’re both very good, with pungent (wasabi?) dressing. Though the pork belly duo (above) are a bit tricky to eat on account of the piggy bits being difficult to bite through; cut them up in the kitchen, I reckon. 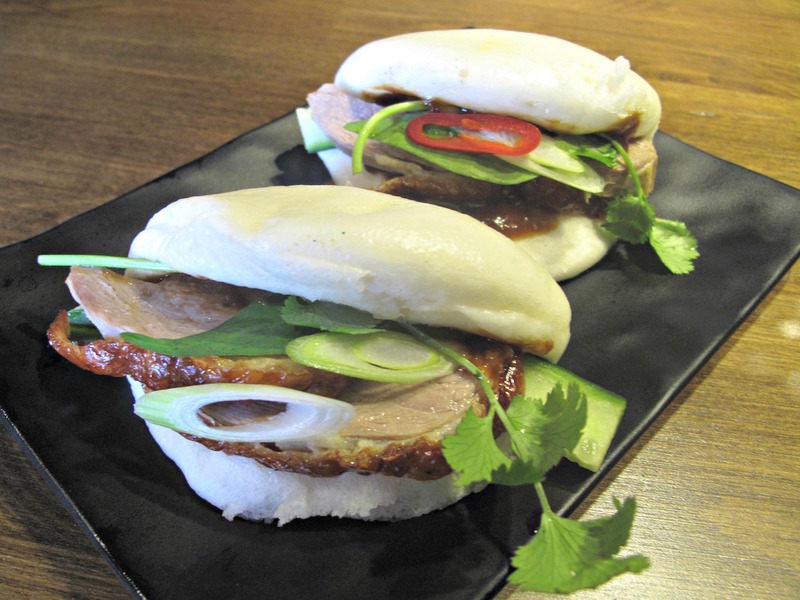 The duck duo – labelled “Quack Attack” on the menu – is bettter, the duck being moist and perfect. 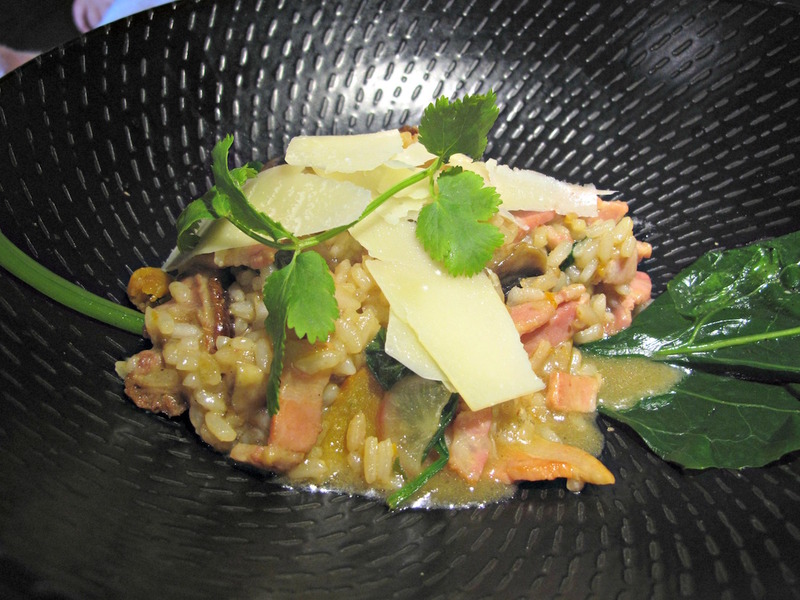 Jacqui’s “Mother Ducker” ($14) – sliced roast duck risotto with bacon, mushroom and pumpkin cooked in duck broth – is fabulous. 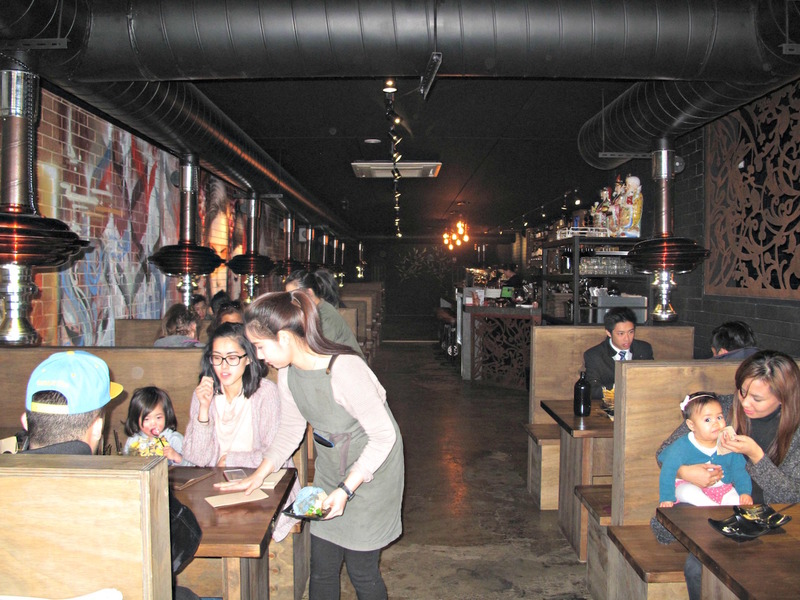 And a prime example of the aforesaid combination of Western themes imbued with Asian flavours. 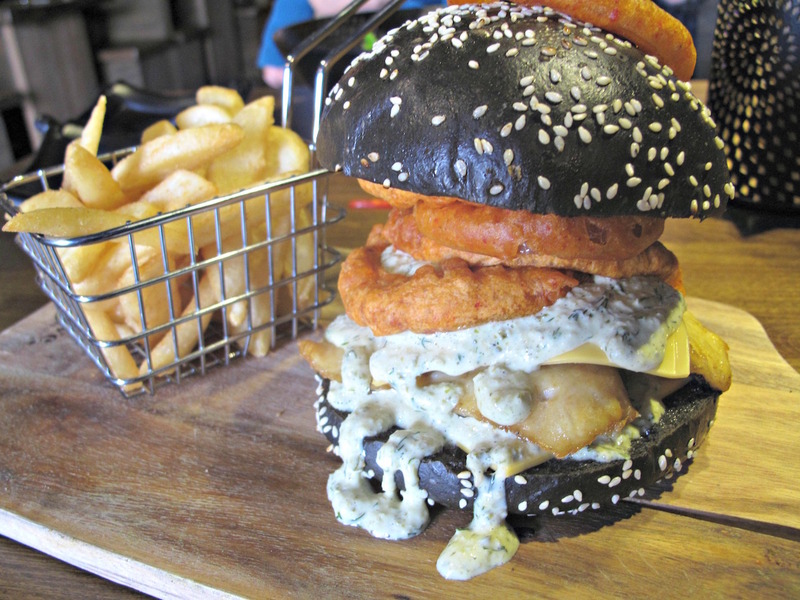 My fish burger ($12, not on the menu but joining the “Dark Night” beef burger) is fine – though I should’ve asked for the cheese to be omitted. 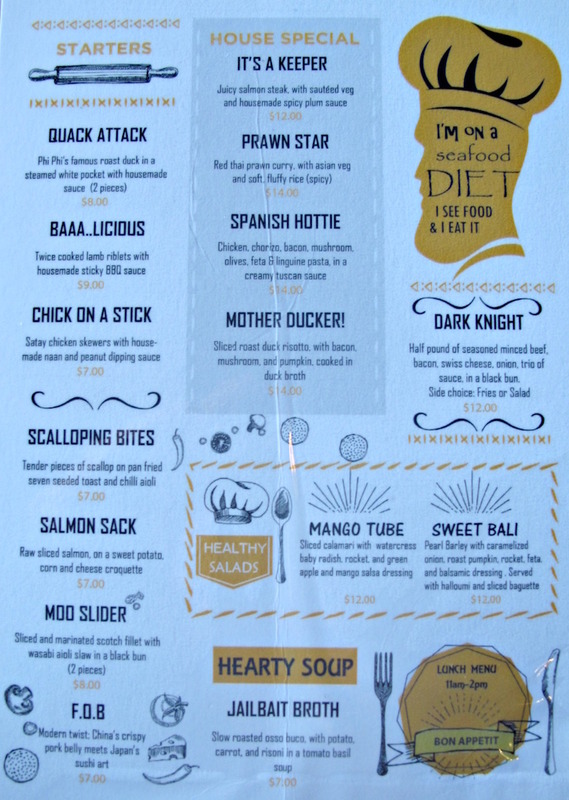 The fish – hoki, I am informed – is lovely and joined by onion rings and dressing in a black bun. It is, as you’d expect eyeballing the above photo, a very messy thing to eat. My understanding is that Phi Phi 2 is serving lunch Mondays through Fridays but that may change because of the day fare’s popularity. 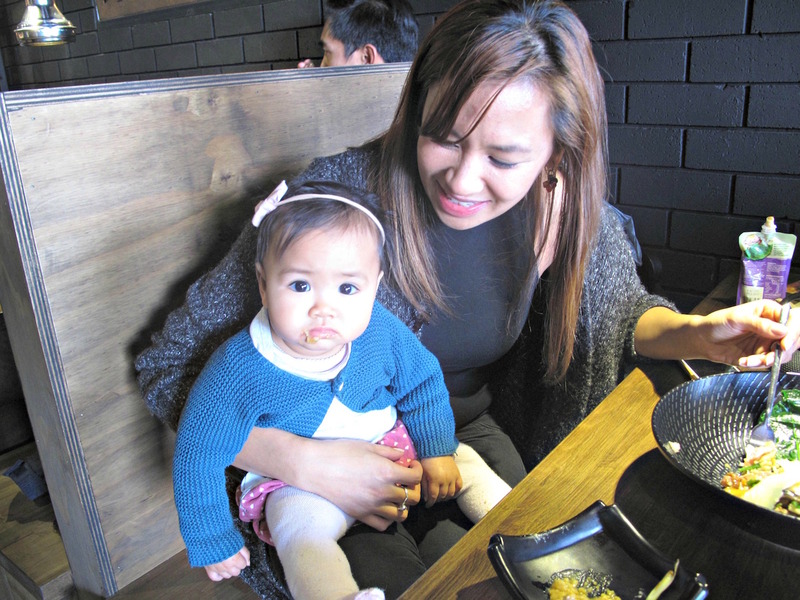 The Urban Ma is enjoying her lunch; her daughter seems a whole lot less impressed with proceedings – particularly with the photographer.